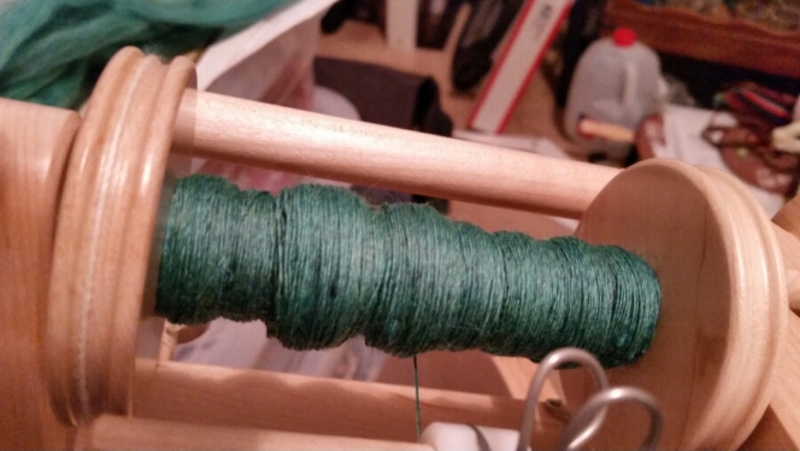 So yes, the 100 Days of Spinning are over, but I am still spinning every day. I am as fast and even now with this merino as I got with the Falklands, and I’m very happy about that. The only frustrating thing is that I have not had as much time to spin really as I’d like, because life just keeps interfering. But nevertheless, every day I get some time in and I am still improving. My joins, in particular, are getting pretty smooth. At least most of the time. I’m also knitting away on the Callicarpa scarf with that Falklands, here’s a picture of my current progress. This entry was posted in Art, Fiber and tagged Arts, beginnings, creativity, Merino, Spinning. Bookmark the permalink. Wow Ann! This looks really nice & smooth:) Your scarf is phenomenal! I’m crochet a scarf made from wool & silk! I’m impressed with your endeavors! Thank you, Catherine! 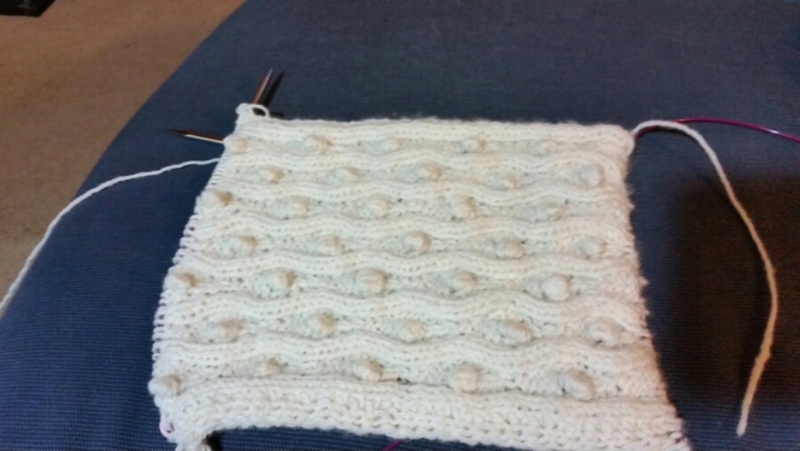 The next section of the scarf has little beads worked into it – that will be exciting! I’d love to see a picture of your scarf – you should post it on Instagram.